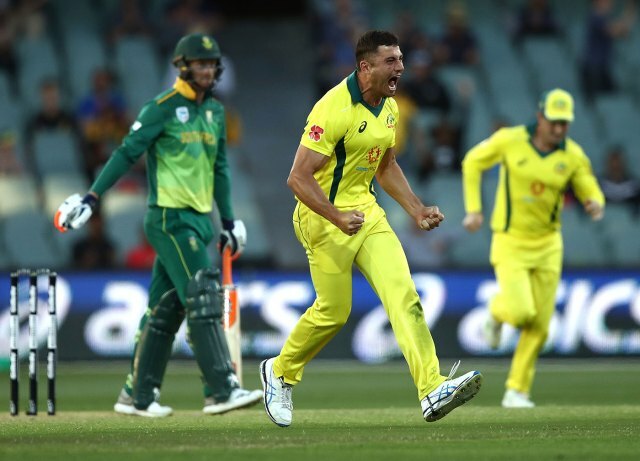 ADELAIDE: Australia beat the Proteas by seven runs in a thrilling ODI at the Adelaide Oval on Friday to keep the series alive.Chasing 232 for victory, the Proteas finished on 224/9. With South Africa winning the first ODI in Perth last Sunday, the teams will now go to Hobart for the decider on Sunday.It was a much-needed win for the Australians who had lost their last seven ODIs and were under huge pressure for cricketing and other reasons.With the game virtually won, there was late drama when Lungi Ngidi slammed leg-spinner Adam Zampa for six off the last ball of the 49th over before hitting Glenn Maxwell for four off the first ball of the final over with South Africa needing 20 to win in the final over. But Maxwell held his nerve and although Imran Tahir smacked the final ball for four, it wasn’t enough.From a South African perspective and after a good bowling performance they will be disappointed by the number of soft wickets they gave away.South Africa’s key partnership was between skipper Faf du Plessis and Miller after the visitors had crumbled to 68/4. With the run-rate under control, the two men batted sensibly to add 74 for the fifth wicket before Du Plessis chopped on to Pat Cummins for 47 in the 30th over.Dwaine Pretorius helped Miller add another 30 but Finch’s aggressive use of his impressive frontline bowlers meant that the batsmen were always under pressure and played too many dot balls.Earlier, the Proteas bowled Australia out for 231 in 48.3 overs after Faf du Plessis had won the toss and put his opponents in to bat, largely because he wanted to apply more psychological pressure after Perth.The visitors generally bowled with good discipline and fielded with intensity with Reeza Hendricks taking top prize for a brilliant catch at short midwicket to dismiss Stoinis. The Australian batsmen, like the South Africans later on, got a number of starts but failed to go on.